Aligner therapy, such as Invisalign, is a series of clear aligners can straighten your teeth without the use of actual fixed braces. 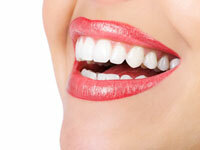 To discuss a clear aligner solution, please feel free to contact us to schedule an appointment. For more information on clear aligners like Invisalign, please feel free to check out their website. Aligner therapy uses a series of clear removable aligners to straighten your teeth without wires or brackets. The aligners are made through a combination of Dr. McInnis’ expertise and 3-D computer imaging technology. You wear each set of aligner trays for 1 – 2 weeks, removing them only to eat, drink, brush, and floss. As you replace each tray with the next in the prescribed series, your teeth will incrementally move, week by week – until they have straightened to the final position Dr. McInnis has prescribed. You’ll visit Dr. McInnis about once every 8 – 10 weeks to ensure that your treatment is progressing as planned. Total aligner treatment time may average 12-24 months. The average number of aligners worn during treatment is between 18 and 30. Both will vary from case to case.